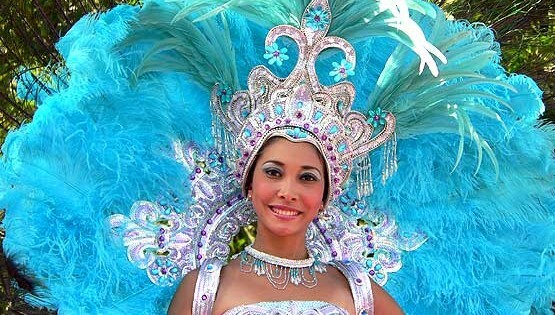 Carnival Panama 2019 will start from Friday March 1 and ends on Tuesday March 5 in many locations in Panama with some of the main attractions going on in Las Tablas, Panama City, Chitré, Penonomé, Villa de los Santos, Dolega, Chepo and Capira besides some more locations that celebrate this festivities. The festivities of Panama’s carnival start in the morning with “mojaderas” or “culecos” which are performed in public or private places with trucks that sprays water from the river during the day and part of the afternoon, accompanied by popular music, then on the night the parades are given for carrying queens with carnival costumes aboard floats accompanied by parades and tunas. Many musicians with a variety of styles, from typical music to merengue and from reggae to sala and much more, will perform on stages in squares and avenues.